Posted On September 28, 2015 by Team iCynosure. My heart is an over-whelming, hyperactive part of my body that is always overworked pumping gallons and gallons of blood through it. Yet despite it being one of the most crucial elements that keeps me going, (read alive) I hardly invest enough time or effort to protect it. And when I say I it actually means we all need to #ProtectHerHeart, and by protection I mean not only from the emotional pressures and the heartbreaks but also with ensuring heart health. Most of us will surely be gasping at this thought and wondering if I've lost it, but no I haven't. Recent studies by SaffolaLife reveals that 3 in every 5 Indian women are at a high risk of heart-diseases, those as young as 35 years of age too. Heart diseases are no longer attributed to old age but to the new-age lifestyle factors such as unhealthy eating habits, lifestyle vices, day-to-day stress and physical inactivity. However, it is extremely easy to make a few changes in your daily routines to go from unhealthy to healthy and achieve great fitness levels both physically and mentally. In order to elevate my heart health, I'm first going to change what’s on my plate. Simple inclusions like whole-grain products, fibre-rich vegetables and fruits and omissions like excess salt and sugar will ensure long-term benefits for my heart and overall health. The very next step that will add immensely to my fitness is to ensure sufficient, good-quality sleep every night to help regularise my heart rate and keep the blood pressure under control. One of the largest demon that haunts us ladies is physical inactivity. I know everyone will go up in arms and list out a zillion things we do each day not only at home but also at work that amounts to loads of activity. However, when a light is shed on the activities that actually contribute to fitness or health we will be the first to agree that we are left far behind in that department due to varied reasons like 'dearth of time', 'lack of energy', 'no motivation' etc etc. But now is the time to "Put Myself First" and engage with my heart. With a list of things that I can do to up my fitness levels, I'm going to choose to engage my heart twice, with an activity and with my better half. For our love for each other and that for cycling, we pledge to cycle together daily for 15 minutes, leading up to 30 minutes over the course of a few weeks. 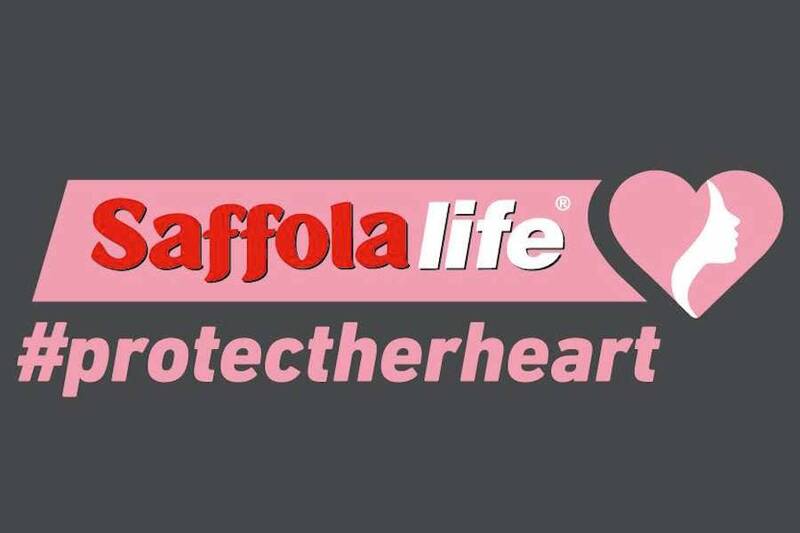 As a couple, we are joining the #ProtectHerHeart initiative by Saffolalife and pledging our support to better heart health. What are you waiting for, encourage us as we take our first steps towards #ProtectingEachOthersHearts by joining the initiative yourself.